Sketch Drawer Pro 5.1 was available as a giveaway on November 29, 2017! How would you improve Sketch Drawer Pro 5.1? Downloaded and installed fast and easy. I had a previous version of this a couple years ago (lost when a drive failed) and was looking forward to getting it again. The earlier version worked much better. It was easier to use and immeasurably more responsive on the same hardware. I'll mess around with this some more, but there's a good chance I'll uninstall it and try FotoSketcher as others have recommended. Instant receipt of the registration code after giving them a little info. Nice program! Thank you, GAOTD and SoftOrbits! I downloaded this and tested it on a couple of pictures. It is garbage. I can sketch a better picture and I had a stroke. My 6 year old granddaughter can sketch a better than this software does when converting a photograph. I uninstalled it. Don't waste your time with this dreck. www.softorbits.com is currently unable to handle this request. Open a Gif, modify it with any setting then 'SaveAs' a jpg. Error message box is shown with no text. Doh! Same with most other file types too. Same with most other file types too. Uninstalled. This has given interesting results. Some feature sets take much longer than others, but none have been excessive for me (i5 desktop) and some are almost instant. When I use GOTD I go for the process via the direct email link. Then open in new folder and paste exe file on the desktop before installing. This seems to cut out many of the problems reported. BUT do go back on Facebook etc to promote GOTD even if you don't load that way. For free, very nice program and worth the low cost for lifetime upgrade / support. This has given interesting results. Some feature sets take much longer than others, but none have been excessive for me (i5 desktop) and some are almost instant. When I use GOTD I go for the process via the direct email link. Then open in new folder and paste exe file on the desktop before installing. This seems to cut out many of the problems reported. BUT do go back on Facebook etc to promote GOTD even if you don't load that way. For free, very nice program and worth the low cost for lifetime upgrade / support. 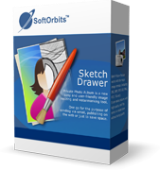 i missed the Sketch Drawer 4.2 last offer. i just catched the Sketch Drawer Pro 5.1.
no issue on running on my system. 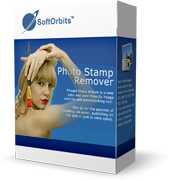 checked Photo Retoucher, Photo Stamp Remover:- not affected. so , i am lucky. Thanks, staying with FotoSketcher for now. That biz about programs getting unregistered still has me on hold. Happened to one just recently after a year to the day. Luckily SO released a next higher version not long after saying unlimited, just saying cause who knows what that means. I had Sketch Drawer 4.1 (4.2?) from a previous Giveaway. I wasn't sure whether to update to this one or not, but I do think I like it better. The sizable box is nice, and I just seem to be able to use the tools a little more efficiently than before - it's easier to see what kind of result I'll get. I'm planning to use this to take a variety of pictures and convert them so that they can illustrate something in a more uniform way. Hopefully that will work out. FotoSketcher has been around for many years, is freeware, and has the ability to Pencil Sketch, Pencil Ink Sketch. and a bunch of paint effects. The result looks like a sketchartist on opium or some other psychomorphic. NOT what I was expecting, but certainly what I am expunging. The result looks like a sketchartist on opium or some other psychomorphic. NOT what I was expecting, but certainly what I am expunging. Just installed and did a test on one of my cat pictures. Wow, runs extremely slow. First you have to create a box to crop the portion of the photo you want, then you can select the style of pencil, black and white, color, etc. but it runs so slow, I can't tell if the picture is being altered to the level I want. It sometimes turns white inside the box, with minimal strokes, than goes to black and white again. I have an i7 laptop, and should not have any issues running this software, so far, I am not impressed. I will restart the computer and try again, but this may be a kicker to the can. Anyone else having these issues? Just installed and did a test on one of my cat pictures. Wow, runs extremely slow. First you have to create a box to crop the portion of the photo you want, then you can select the style of pencil, black and white, color, etc. but it runs so slow, I can't tell if the picture is being altered to the level I want. It sometimes turns white inside the box, with minimal strokes, than goes to black and white again. I have an i7 laptop, and should not have any issues running this software, so far, I am not impressed. I will restart the computer and try again, but this may be a kicker to the can. Anyone else having these issues? Attempted using a photo portrait headshot. Not good result but haven't had the opportunity to attempt modifications to produce varying output. That said, I couldn't determine process to go back to original photo and try again. The resultant drawing acted like a screenshot in that none of the controls functioned. You have to have the ability to go back and redraw to fine tune your sketch. Without this ability this program has very limited appeal. Nice to have! I also have Fotosketcher a fantastic freeware that does about the same thing! seagrape, Softorbit licenses can expire at any time without warning, they are infamous because of that. cannot get activation key, hit the button and nothing happens. So many times there are foul ups on the GOTD. What a pain. when i click active now redirect me to page with Offer is expired! my soft orbits photo Editor is still active, it has not deactivated. Thank you for offering Sketch Drawer, love the program, I had an older version. Thanks again! 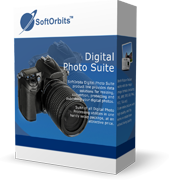 Kim, I just tried my SoftOrbits Photo Editor from a previous giveaway and it no longer loads. I'm not touching today's offering. Ootje, that is a fantastic result! I just tried with the preset settings, and was quite pleased even with the single step. Thanks for uploading your step by step actions and the result of each - very helpful!!! Ootje, The results that you showed us would make for great coloring pages!!! They look similar to ones created at the crayola.com website that I used a few years ago to convert some family photos into coloring pages. My grandkids loved them! Have SoftOrbits stopped their nasty habit of de-registering existing software a few weeks after installing new GOTD offerings? They've had MANY black marks from reviewers on this site in the past. Until I know they've ceased, I'm avoiding all their products! Have SoftOrbits stopped their nasty habit of de-registering existing software a few weeks after installing new GOTD offerings? They've had MANY black marks from reviewers on this site in the past. Until I know they've ceased, I'm avoiding all their products! CynicalMe, Hasn't de-registered any of my other soft orbits programs so far. Joemac, if history is anything to go by, your little surprise will come in a month or so. CymicalMe, _His_ history is that none of his programs have been deregistered, so whatis the point of trying to infect someone with _your_ cynicism? Did you bother to contact the developers about your issue? Sounds like the point of it is to warn him that it might be coming. So that if it does happen he won't be like "wtf, I should reinstall my system!" and be more like "huh, someone said this was a problem, I guess it must be the program company." He doesn't state unequivically that it will happen, just that, to paraphrase, 'well, it might'. lmitchell, Sounds like the point of it is to warn him that it might be coming. So that if it does happen he won't be like "wtf, I should reinstall my system!" and be more like "huh, someone said this was a problem, I guess it must be the program company." He doesn't state unequivically that it will happen, just that, to paraphrase, 'well, it might'. Thanks for the warning, CynicalMe. I've had stuff deregistered by this devious company before too! I hadn't spotted it was from them! lmitchell, My reading of this is that today's offering hasn't YET messed up Joemac's other programs. CynicalMe has a right to his skepticism, based on the reviews this company has had in the past. Once bitten.... Thanks for the warning, CynicalMe. I've had stuff deregistered by this devious company before too! I hadn't spotted it was from them! J, so he's spreading unfounded FUD (Fear Uncertinty and Doubt) that is not relevent to the previous concern that the ACT of installing a new SoftOrbits giveaway will somehow de-activate previously installed SoftOrbits giveaways NOT that at some indeterminate point in the future they will all deactivate which would be a different problem altogether! That is like the FUD spread by the remain party campaign or the FUD spread by Trump during his campaign... FUD is the same as the pseudo-sience that makes imaginary may or might or could claims about astronomical objects. It's NOT science, just as the post by CynicalMe is just supposition and not based upon the OP comment or the other replies that were relevent and voted down for some obscure reason. If at some point in the future all his or her giveaways all deactivate and only his or her giveaways deactivate that suggests windows has soft crashed and attempted to repair its registry hives unsuccessfully. J, so he's spreading unfounded FUD (Fear Uncertinty and Doubt) that is not relevent to the previous concern that the ACT of installing a new SoftOrbits giveaway will somehow de-activate previously installed SoftOrbits giveaways NOT that at some indeterminate point in the future they will all deactivate which would be a different problem altogether! That is like the FUD spread by the remain party campaign or the FUD spread by Trump during his campaign... FUD is the same as the pseudo-sience that makes imaginary may or might or could claims about astronomical objects. It's NOT science, just as the post by CynicalMe is just supposition and not based upon the OP comment or the other replies that were relevent and voted down for some obscure reason. If at some point in the future all his or her giveaways all deactivate and only his or her giveaways deactivate that suggests windows has soft crashed and attempted to repair its registry hives unsuccessfully. It's founded on his own personal experience. (And confirmed by a couple different commenters on the thread. What they, and others, miss that that those feelings cannot come from someone else, from information or opinion. The 'fear' felt is specific to you, in a sense, something that is your choice to feel, or rather, based off of your own insecurities. I read the exact same message you did. Got the same information. But I didn't feel fear or uncertainty. I felt (a small amount) of gratitude for the warning. I did have a 20 second conversation with myself- do I want to install a program that I could possibly lose later on? And I decided, yeah- I'm fine with that. So 20 seconds of uncertainly to save me 30 minutes of frustration and confusion later? Yes please. And thank you. And anyway, to apply 'fud' here, to a small, casual use computer program that someone is giving me for free to try and that I don't really *need* (no offense, developers)... then you almost have to apply it everywhere: When people say "looks like rain", is that fud? "if you're late you'll miss the best part!" = fud? Cars, when driving down the road, will blink their lights at oncoming traffic to let oncoming cars know that there's a cop on the road a ways back. Is that fud? The list is endless. At the end of the day, I'm glad to know about his experience. TK, > unfounded FUD It's founded on his own personal experience. (And confirmed by a couple different commenters on the thread. >FUD In my humble opinion, that's a phrase popular now in the crypto community, a group who kinda needs to remain positive in order to maintain the delusion that their coins actually have value. (Or value in the thousands of dollars. )(Again, my own, personal opinion, others may rightfully disagree.) What they, and others, miss that that those feelings cannot come from someone else, from information or opinion. The 'fear' felt is specific to you, in a sense, something that is your choice to feel, or rather, based off of your own insecurities. I read the exact same message you did. Got the same information. But I didn't feel fear or uncertainty. I felt (a small amount) of gratitude for the warning. I did have a 20 second conversation with myself- do I want to install a program that I could possibly lose later on? And I decided, yeah- I'm fine with that. So 20 seconds of uncertainly to save me 30 minutes of frustration and confusion later? Yes please. And thank you. And anyway, to apply 'fud' here, to a small, casual use computer program that someone is giving me for free to try and that I don't really *need* (no offense, developers)... then you almost have to apply it everywhere: When people say "looks like rain", is that fud? "if you're late you'll miss the best part!" = fud? Cars, when driving down the road, will blink their lights at oncoming traffic to let oncoming cars know that there's a cop on the road a ways back. Is that fud? The list is endless. At the end of the day, I'm glad to know about his experience. TK, After rereading your message I think I didn't understand what you meant. On 3rd reading, lol, I think I'm getting only closer, maybe not there yet. If my longer reply below (or above) isn't coherent with what you were trying to say then please disregard it. Anyway, I think we're on the same page and my last message I think was off base. Oh well. On the internet, no one knows you're really a dog. TK, After rereading your message I think I didn't understand what you meant. On 3rd reading, lol, I think I'm getting only closer, maybe not there yet. If my longer reply below (or above) isn't coherent with what you were trying to say then please disregard it. I understand what CynicalMe meant (that the software disables itself, and possibly other software by the same company). I used 'reinstalling the system' simply as an example of dealing with 'a larger problem'. If I had a program go down, or have several programs (from the same company but maybe not realizing that) go down, my first thought probably would not be- "I wonder if the company disabled their own program." My first thoughts would be about larger issues- bad sectors, corrupt drive, virus maybe, etc. etc. (those are just examples.) Anyway, I think we're on the same page and my last message I think was off base. Oh well. On the internet, no one knows you're really a dog. JEB, It would be very nice if you provided a short list of those "tons of websites and freeware". Other wise, you are simply making an unsubstantiated claim that does no one any good. The only similar program mentioned here, and not by you, is Fotosketcher. ouialaraison, Thanks for the tip to lunapic. What a myriad of choices and opportunities! Looks like a fascinating site and I will explore it more. screen shots would be very helpful of what this program can do. shawn, there is a link to the developer's site, go there and view the examples. Please show me a direct link to get license key, Thanks ! Download & install, then i had click on the pop-up "Get the free Activation Key" and nothing happen... Please show me a direct link to get license key, Thanks !